CHILD STARS GIVING BACK: #FordDSFL @LovePastry Host @Disney Star COCO JONES' Sweet 16 Birthday Bash Benefitting @ThreadsForTeens! By Editor Tracy Bobbitt|2014-01-14T13:07:05-07:00January 14th, 2014|Categories: Branding Power, CHILD ACTORS, CHILD STAR STYLE, Giving Back|Tags: #FordDSFL, Amber Montana, american child stars, August Maturo, Austin Mahone, Austin Mahone pictures, Best Child Actors 2014, Child Actors in Hollywood, Coco Jones, don't text and drive, Ford Ambassador for Safe Driving, Ford DSFL, how to become a child star, Is Madison Pettis dating Austin Mahone, Journeys Shoes, katherine mcnamara, Katie Armiger, Lauren Suthers, Love Pastry, Madison Pettis, Olivia Holt, Pastry, Pastry Girls, Pastry Shoes, Rowan Blanchard, Ryan Newman, safe teen driving, top child stars 2014, Who is Austin Mahone dating, Zendaya Coleman|Comments Off on CHILD STARS GIVING BACK: #FordDSFL @LovePastry Host @Disney Star COCO JONES' Sweet 16 Birthday Bash Benefitting @ThreadsForTeens! 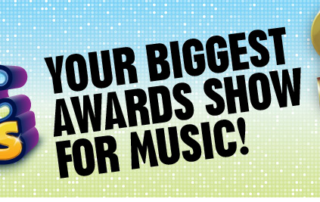 Radio Disney Music Awards Live from L.A. April 27, 2013! Get Your Tickets! !